I have absolutely LOVED the warm spring weather we’ve had in Tennessee this past week! Warm weather means a completely new season of spring fashion, and I’ve been more than happy to break out my dresses WITHOUT tights, sleeveless blouses, and sandals!!! Over the past week I’ve snapped some photos of my OOTD’s AND OOTN’s so I thought I would show you what I’ve been wearing lately as the weather has warmed up…. 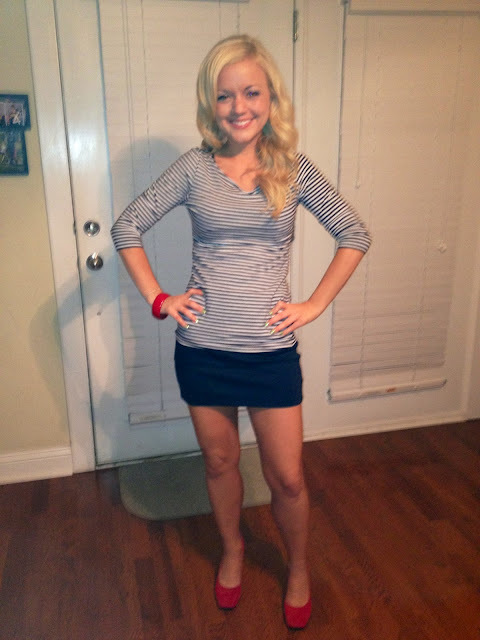 First off we have an outfit I wore this past weekend in Knoxville….a bandage dress, heels & my staple Arm Party! Warm weather has ALSO meant the breakout of this little treasure…. 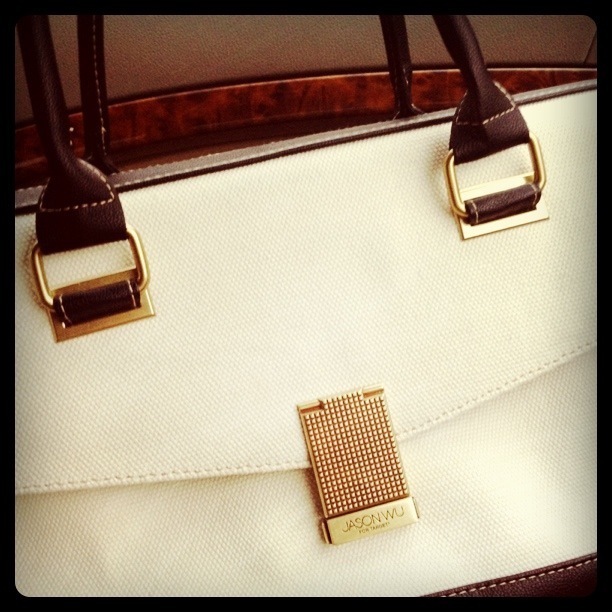 MY JASON WU FOR TARGET PURSE!!! The weekend before last I wore a little bit of a “nautical” themed outfit…navy, white & red with stripes for a night out on the town. Also used my favorite trick of layering a top over a bandage dress to make it a skirt…. Spring ALSO means bright colors. One of my fave colors to wear in the warm weather is CORAL! A few weekends ago I paired a coral top with leopard print heels & jewelry! 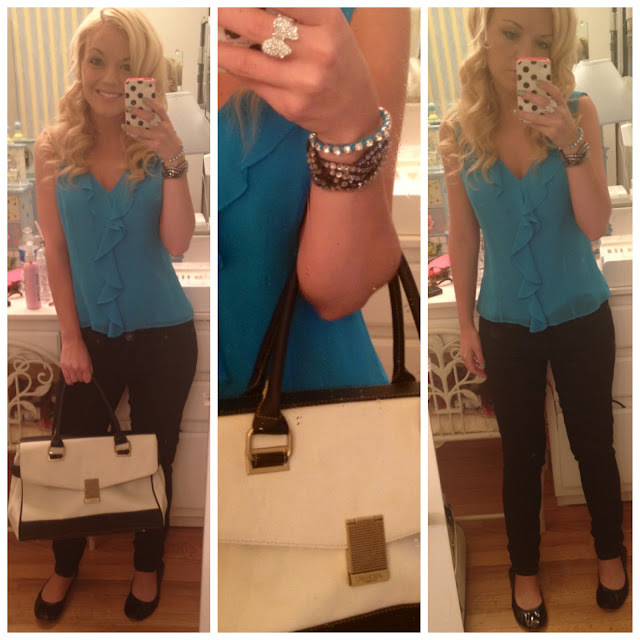 A fun warm-weather look…. So what have YOU been wearing as the weather warms up!? Leave me a comment & share!!! Thank you SO much for reading as always!!! I am officially over 10,000 page views which would of course not be possible without YOU, my LOVELY readers. I appreciate you sooooo very much!!! !